From Saraburi town, take Mitraphap Road past Kaeng Khoi district to Muak Lek. Continue driving by following the sign of “Namtok Chet Sao Noi National Park”. The rafting operator office is just 9 km from the National Park. The total distance is around 62 km. Tour guide, raft, kayak, food, restroom and parking lot. 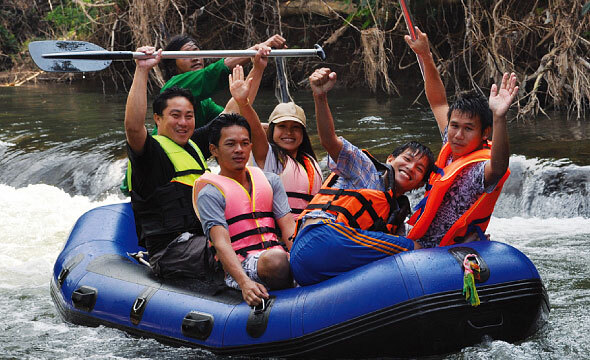 The substantial amount of water from Namtok Chet Sao Noi has created a flowing stream nestled amongst lush tropical forest, which is great for a white-water rafting activity. 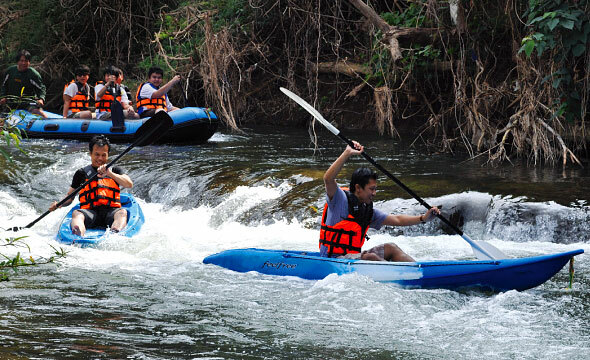 This river is recognised as “Phu Ko” with a total distance of 6 km; around 1.5-hour boat ride.Available here are single or double white-water kayaks and 6-person inflatable boats. The exciting part of this white-water rafting starts at the moment the craft is released from a wooden slide to the stream. 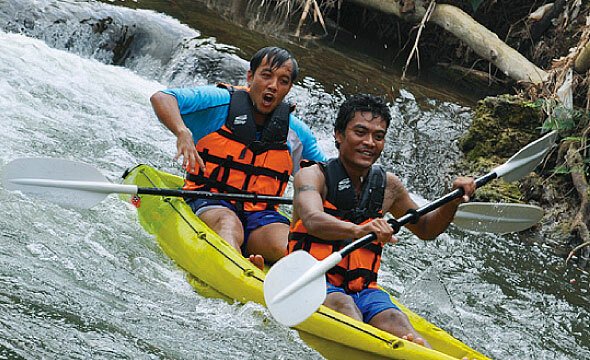 Then, the current will take the raft through 16 rapids in different sizes and levels of difficulty 1-3. 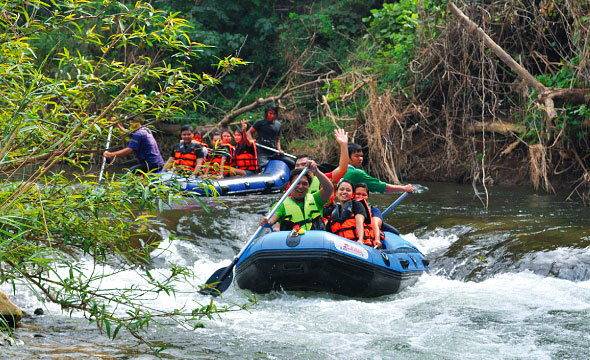 The rapids which will thrill you to the core and soak you to the bone are “Kaeng Tha Kham”, “Kaeng Wat Chai”,“Kaeng Slider”,“Kaeng Khwang” and “Kaeng Phu Ko”. One of the distinctive highlights here is the perfect ecosystem along the unspoiled stream which dashes out from the bushes; little fish swimming around the raft, the scent of soil and grass. You will be enchanted along the waterway by spectacular scenes and a sweet natural scent while various kinds of birds are chirping in the trees. In addition, the endangered “Indochinese Water Dragons” are found only here. These amazing creatures are able to change their colours into green, red and black, depending on the seasons. "Late October to January is the best time to do rafting here." "Not far from here, you can visit Rai Kusuma Resort for ATV and canopy adventure activities."